The Squadron had hardly organised itself in its new surroundings before the great and momentous day arrived when Japan finally decided to accept the Allied terms of “Unconditional Surrender” and to lay down its arms. The remainder of that day, 15th August, and the succeeding two days were granted as a holiday to all members of the Station and Squadron save those who were maintained on essential duties. No great jubilation greeted this news, on the contrary it was received in a completely calm manner which reflected the thankfulness that all personnel felt at the thought that the war was ended and that a return to homes and families was approaching. Towards the end of the month a further cause for celebration arose on the Squadron when it was learned that Flight Lieutenants Breingun and Fearon had been awarded the DFC. Both officers had excelled themselves in instructing and at operational flying, having served for sometime with the Squadron in the Italian Campaign. 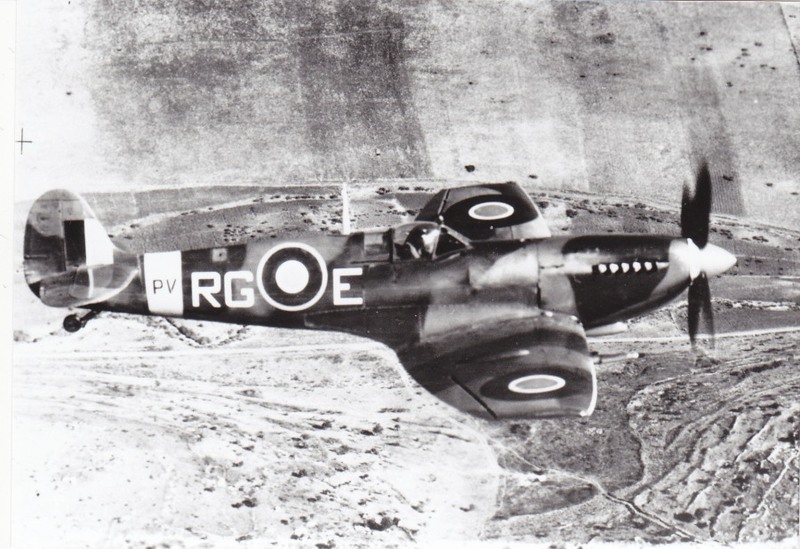 The Squadron, complete with sixteen Spitfire IXs, commenced training at Ramat David in early July and practice flights in co-operation with the Army became the normal routine. In addition to these daily exercises tactical reconnaissance was flown over the oil pipeline running from the River Jordan to Haifa. 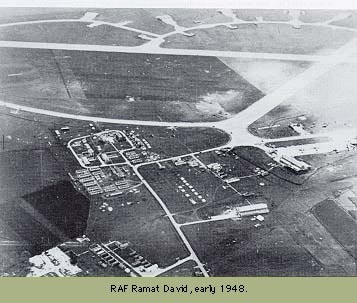 On 13th August the Squadron moved to Petah Tiqva as the airfield there had better equipment and facilities for a tactical reconnaissance Squadron. Pending the revision of establishments the Squadron Commander, Wing Commander J.B.A. Fleming, OBE undertook the task of Station Commander.